This policy, with its accompanying procedures, establishes a framework for cooperation among members of the University community aimed at locating and assisting students who are reported missing. A student shall be deemed missing when he or she is absent from the University for more than 24 hours without any known reason. All reports of missing students shall be directed to Police and Security Services. Police and Security Services shall investigate each report and make a determination whether the student is missing in accordance with this policy. All students shall have the opportunity to identify an individual to be contacted by Police and Security Services in the event that the student is determined missing. If a missing student is under 18 years of age, Police and Security Services is required to notify the parent or guardian of the missing student not later than 24 hours after determination was made that the student is missing. Police and Security Services will also notify area law enforcement no later than 24 hours after it determines that the student is missing. Any report of a missing student, from whatever source, should immediately be directed to protective services. Contact the Vice Chancellor of Student Affairs. Make a determination as to the status of the missing student. If the missing student is under the age of 18, notify the student’s custodial parent or guardian as contained in the records of the University within 24 hours of the determination that the student is missing. 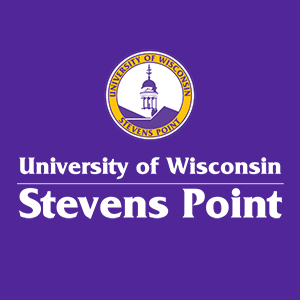 Notify the Stevens Point Police Department within 24 hours after determining that student is missing so that NCIC entry can be made. The Vice Chancellor of Student Affairs and the Director of Residential Living will be notified by staff and the vice Chancellor of student affairs shall initiate whatever action he or she deems appropriate under the circumstances in the best interest of the missing student. Students shall be given an opportunity to designate emergency contact information on the university website and on their emergency information card that is completed while they reside in the residence halls. Included in the annual campus security report. Posted on the Protective Services webpage.